Innovative memory foam made with silver additives, chosen for their cooling properties and antimicrobial benefits. InfiniCool HD Surface - features cooling materials uniquely positioned just beneath our High Definition knit surface.The fabric is luxe in feel, naturally cool-to-the-touch and helps wick away humidity while you sleep. Alternating Pocketed Coil® and Pocketed Memory Foam™ for a truly hybrid support system designed to balance pressure relief and support. 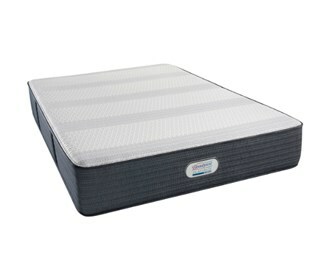 Support layers: Coil Unit in a matress that provides support for the sleeper. The Brayford Creek Hybrid 13 Inch Twin XL Size Luxury Firm Mattress has many exciting features for users of all types. See the Brayford Creek Hybrid 13 Inch Twin XL Size Luxury Firm Mattress gallery images above for more product views. The Brayford Creek Hybrid 13 Inch Twin XL Size Luxury Firm Mattress is sold as a Brand New Unopened Item.